As you can see, there are lots of decisions to make when planning an important celebration. That’s why our website is specifically designed to help you at every turn in your planning process. Below, you’ll find short descriptions of our most popular items to get your creativity flowing. Large items that will be cut into pieces and shared offer a larger canvas for decorating and making a statement. Smaller items laid out on decorative dessert tables are a fun way to please a crowd by incorporating a variety of flavors and choices! Weather you know exactly what you are looking for, or are just starting to dream up ideas, we would love to help you with suggestions and possibilities! We’re here to help! Once you have a good idea of what you want for your event, CLICK HERE to learn more about how we can help make it a success by working with your budget. 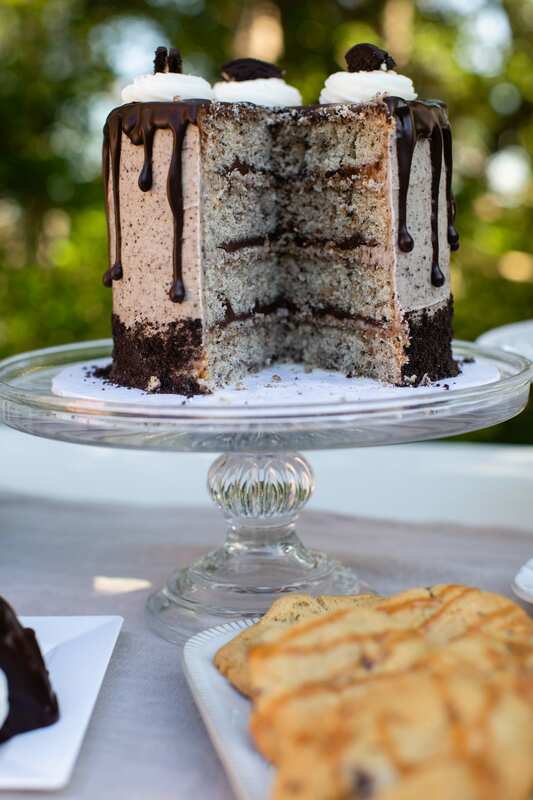 Custom cakes for any occasion! From birthdays to weddings to graduations, we can design exactly what you’re looking for! Cupcakes are a great way to give your guests lots of delicious flavor options while adding a special decorative touch to match any theme! 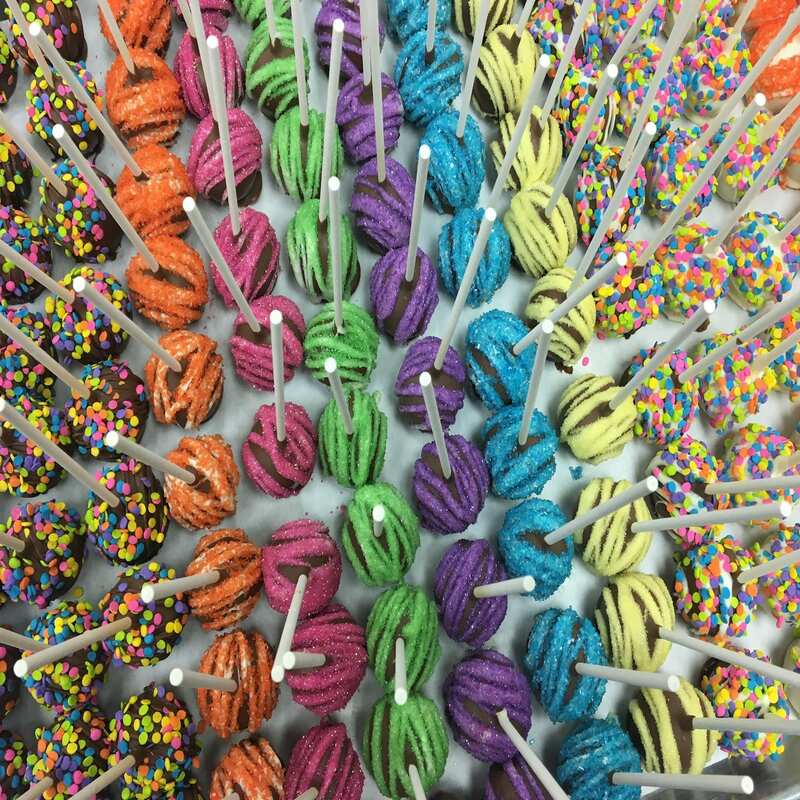 Cake pops are a unique treat that can come in any of our flavors! 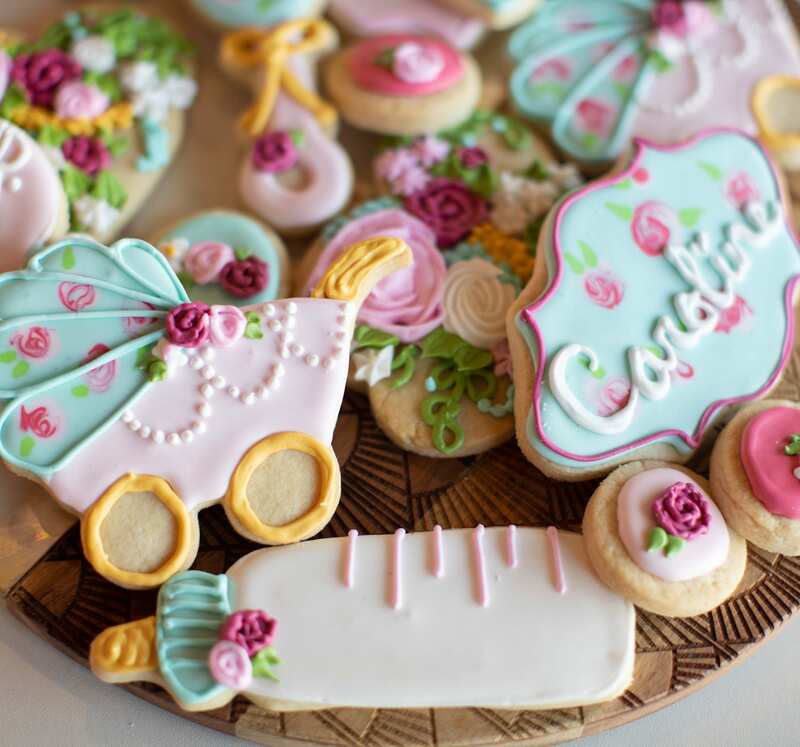 Cookie design possibilities are endless! We can match any theme or color palette. One of our newest and most delicious items! We offer a variety of flavors from red velvet Oreo truffle to Raspberry Cheesecake. 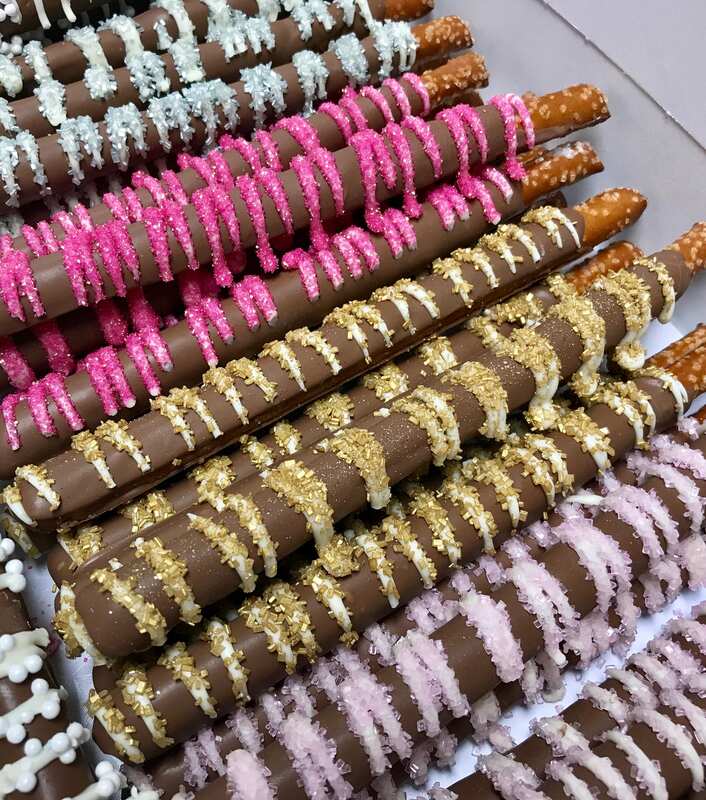 We also offer chocolate dipped pretzels and Oreos, chocolate peanut butter graham crackers, cake push ups, cupcake in a jar and other bite sized treats that can be the perfect addition to a dessert table, party or shower!